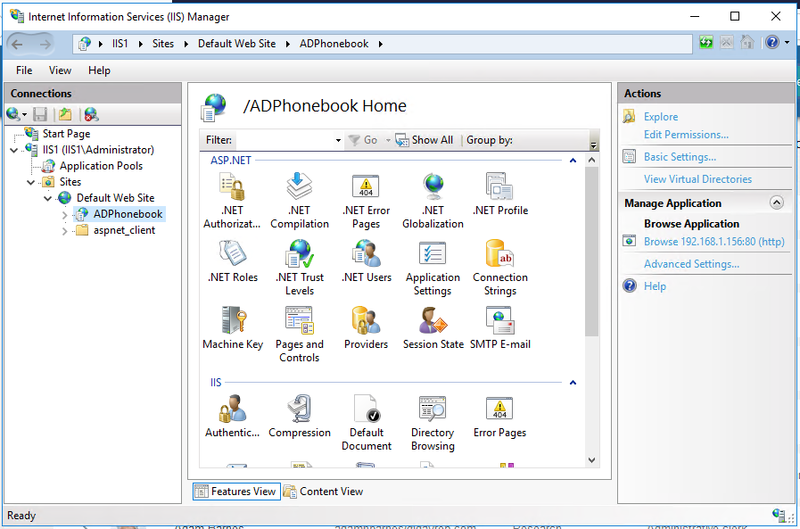 This page shows the roles and features required to run AD Phonebook, AD Self Update or AD Self Password Reset on Windows Server 2016. 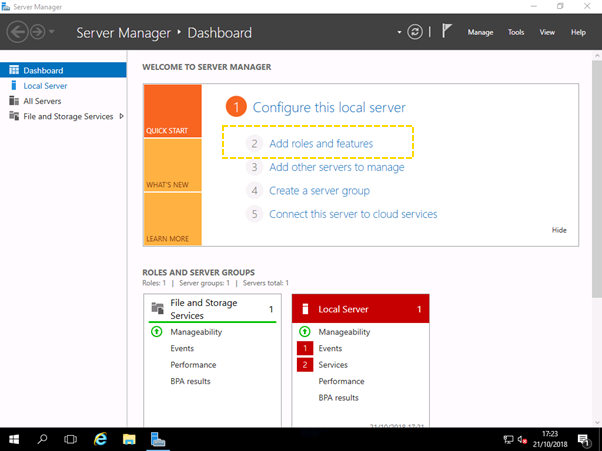 Starting with a clean Windows 2016 server, using Server Manager click Add Roles and Features. 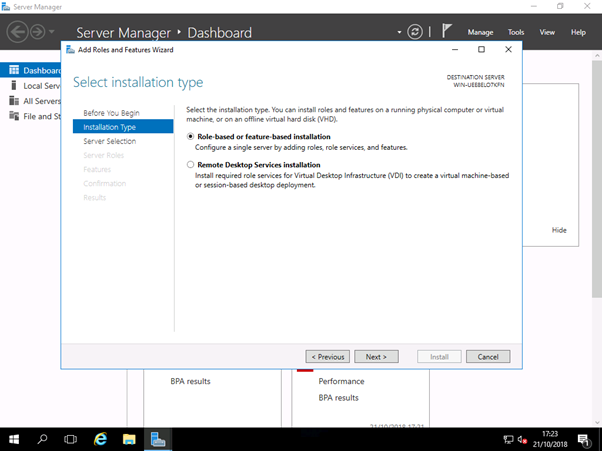 By default ‘Role based or feature based Installation’ is selected, click Next to continue. 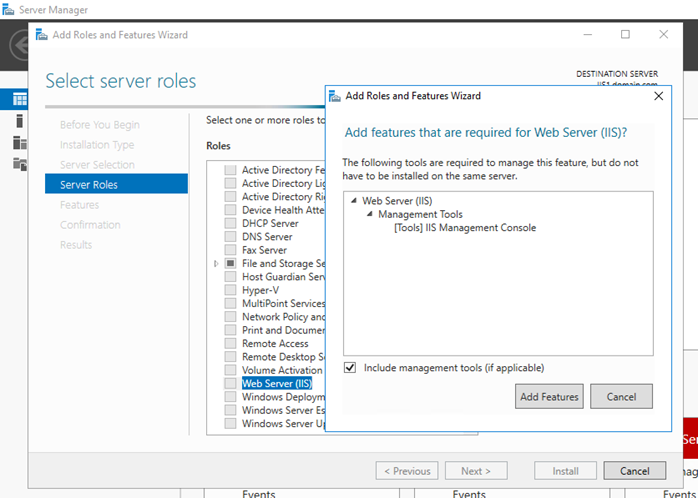 Add Web Server IIS role, you will be prompted to add Management Tools, click Add Features. 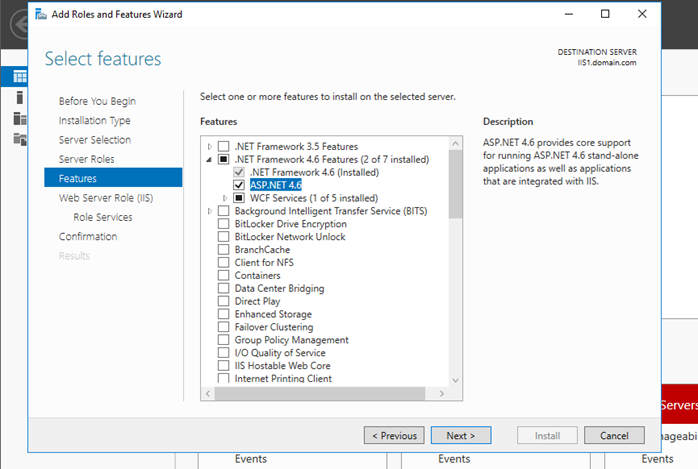 Under Features check ASP.NET 4.6, click Next. 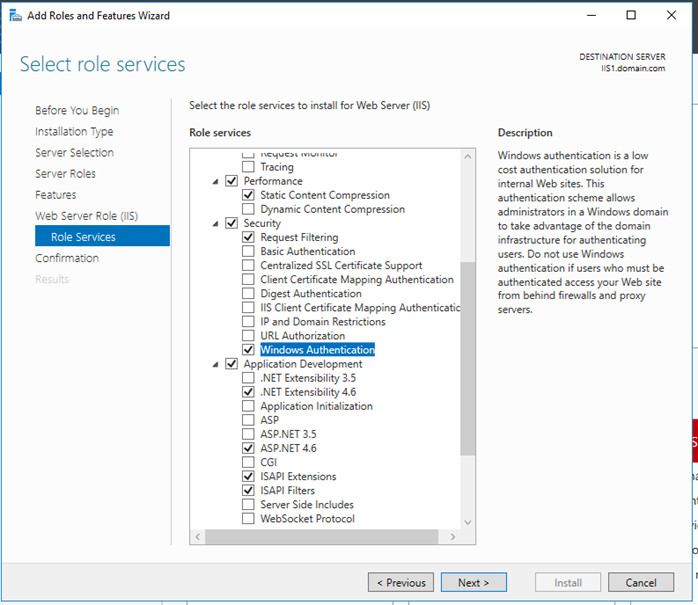 Under Role Services check Windows Authentication and ASP.NET 4.6, .Net Extensibility will be selected automatically. Click Next to start the installation. When complete you will find Internet Information Server (IIS) under, Windows Administrative Tools on the Start menu. After running the AD Phonebook, AD Self Update or the AD Self Password Reset installer(s) you will see the programs installed under the Default Web Site (default location) in IIS. In IIS under Default Web Site select the application and then click the link under Browse Application on the right to load the program in the web browser. By default IE 11 is the default web browser on server 2016, IE on the server can be locked down so you may find it easier testing using another browser.